If you have questions, I have answers! These are some of the questions I'm frequently asked! I use 2 Canon 5D Mark III's on a wedding day. I use a Holdfast Money Maker Strap to carry them both. I always carry my gear in the Pilot Bag by Kelly Moore. I just love backpacks and it's literally perfect for every occasion I'm in. Q: Do you prefer Mac or Pc? Q: What do you edit with? Primarily with Adobe Lightroom! I only use Photoshop for skin healing and more intense photomanipulation. Up until recently I was using DC Presets which I still very much love but have just started using Tonezforhumans and they are my absolute favorite! Q: So I've decided to book you for our wedding. What's next?? I like to meet all of my clients Face-to-Face to go over the contract. Sometimes you guys live a little bit too far away so Facetime or Skype would be our best option! At the time of the contract signing we will talk about all of the details of your wedding day. I also like to get to know you guys personally at the contract signing. Not only that but I like to make sure that I'll be a good fit for your wedding day. At the end of our meeting we'll sign the contract and I require a deposit to hold your date. It's 1/3 of your full amount. Q: Do you use a second shooter on wedding days? And if so, who? It honestly depends on the size of your guest list/wedding/and where the bride and groom are getting ready. If the wedding is small then I can typically handle it by myself even though it states a second shooter provided in some of my packages. My lovely wife is typically my second shooter but on occasion I will hire out another photographer whom I feel fits my style of photography so your images don't change between first and second shooter. Oh my gosh yes! I LOVE to travel! If I could change "travel" to my middle name I totally would. Well, I wouldn't go that far but I do love to go all over. Travel prices ARE NOT included in my prices but I'm not super expensive when it comes to travel and I'm more than willing to work with your budget. Q: Where are you favorite places to shoot? Anywhere! I love natural light and strive to use it as much as possible. The only reason I use a flash is due to the fact that most receptions are a little bit too dark for me to use just my camera. I do try to provide a fun touch with the flash so your photos have an artistic and cool look! But to be honest I prefer anything outdoors. Mountains, woods, rivers, old buildings, etc. I don't mind traveling to any of these places to get some awesome photos of you! Q: What's the best time to do our photoshoot? For a wedding it really depends on your location. If the ceremony and reception will be inside then it really doesn't matter. I can use whatever light is there or my flash. If your wedding is outside then it really depends on the time of year that you're having it because the sun sets earlier and later depending on the season. For Engagements, Bridals, etc. I like to shoot with the last 2 hours of sunlight during the day. That gives us plenty of time to do all the necessary photos, changes of clothes and all that other fun stuff. I typically start the session out with us just talking for a few minutes. I want to get to know you guys a bit before I start just snapping away. 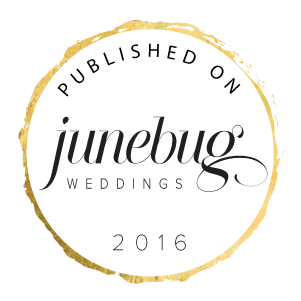 Q: Do you ever try and publish your work to wedding blogs or magazines? Yes and no. I strive to photograph everyone's wedding unique to them. It's not my goal to get anyones wedding published but to merely capture your memories the way that they need to be and with my own style. I do tend to shoot two different ways. I get certain shots the way a wedding blog would want them but I also get all of the shots that are most important. If I do decide to try and publish your wedding then I will send you a questionnaire form to get more details and whatnot of your day. But, like I said, my end goal is not to get published. I just want you to have beautiful wedding photos that will last the fabric of time. Q: I love your work and want to book! How do I do that?! Easy!! Just go on over to my contact page HERE and fill out the information. The form will send me an email and I'll be notified immediately and will respond as soon as I possibly can. Q: I'm an aspiring photographer, do you teach? As a creative, I always feel like I'm learning from everyone I come in contact with. Every shoot I try to do something new or different so I never stop learning and growing. With that being said, yes, I do offer a mentorship program. Tips and tricks are things I often give away for free. I don't mind answering basic questions from people but over the years I've acquired a lot of knowledge and that wasn't free or easy. Though I have learned a lot from other photographers I've also spent a great amount of time behind a computer screen researching, test shoots with friends and had a lot of experience doing things wrong, haha! I have (at the moment) an option available on my mentorship page "HERE".